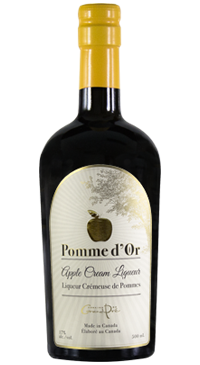 Pomme d’Or Apple Cream Liqueur impresses with perfectly combined flavours of vanilla cream and apple. It is silky smooth on the palate and finishes with just a slight warmth. Serve over ice, on its own as an aperitif, after dinner, or mixed with coffee.